I hope all of you are enjoying the return of warmer weather with all the goodness and emerging greenery it brings. This was originally intended to be a monthly newsletter, but I must admit, it has been a challenge to meet that goal this year with all that has been and is still going on. As I look back to the last newsletter, I see it was sent on March 6th, which was well over two months ago. Time flies when you are having fun, and that is the case, on most days. 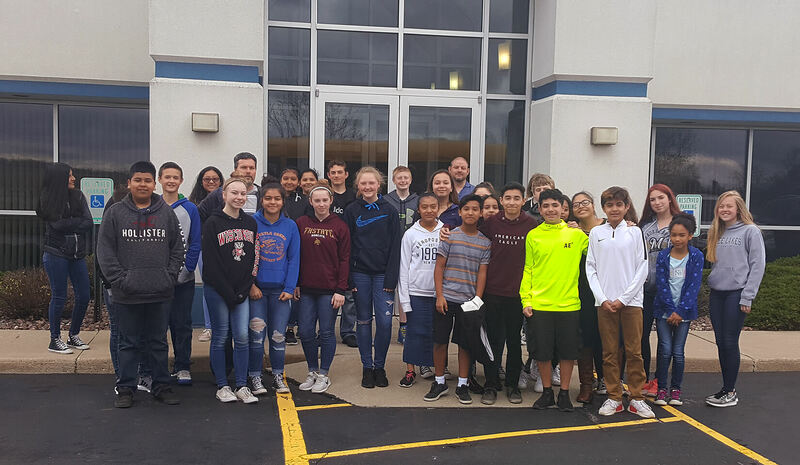 On Friday, May 4th, Precision Plus hosted 30 seventh grade students from Phoenix Middle School in Delavan, along with their math teacher Steve Fouts and math/science teacher Thad Schmitt. The group joined us to explore the relevance of classroom work and how it relates to manufacturing. This week, Mark Beilman and Will Sanchez had the opportunity to attend Phoenix Middle School’s 2nd Annual Career Expo Fair in Delavan, Wisconsin. 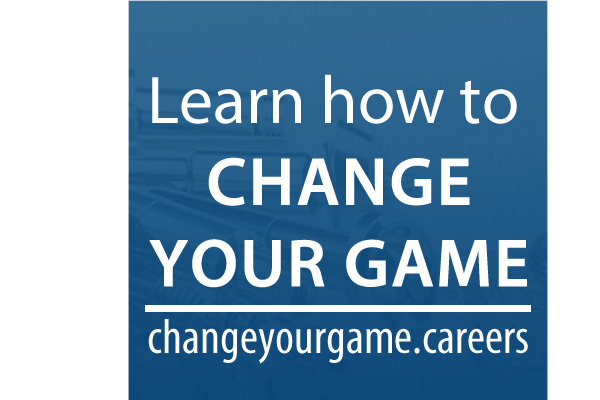 The event was created to provide expertise to help middle school students have a better understanding of their career goals and pathways. We are now more than 60 days into the new year, and for me it seems like just yesterday, we flipped our calendars to 2018. As I am hearing from most, business is strong and the future looks promising, regardless of the stock market gyrations. But while business activity is strong for us, there is always an invisible cloud of concern for the future, and it keeps us on our toes. 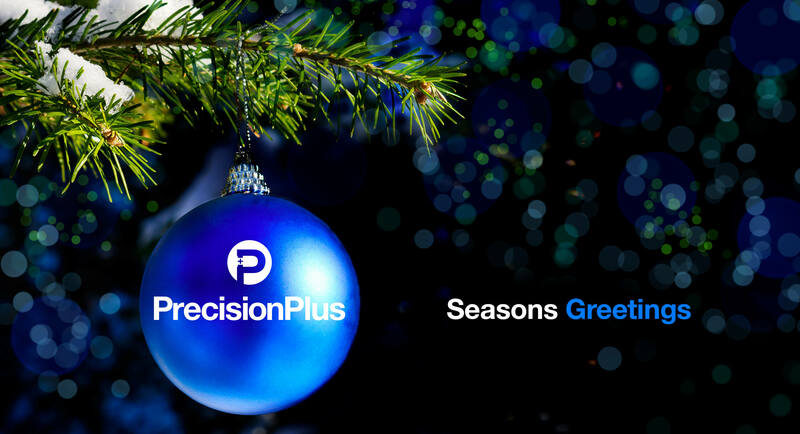 Merry Christmas from Precision Plus! “Are you ready for Christmas?” It’s a question you frequently hear (and maybe ask) this time of year. There are those who have been “ready” for weeks now, efficiently checking the items off their list, a little bit at a time. There are others who, year after year, leave it all until the last minute, rushing around up until Christmas Eve. There is still shopping and baking and card mailing to be done! If you are someone that feels stressed out during the holidays, slow down and relax. Remind yourself that it’s not the things that matter, but the people around you. On December 13th, the Wisconsin Sustainable Business Council (WSBC) held their 10th Annual Conference and Green Masters Award luncheon. We are proud to announce that for the second consecutive year, Precision Plus earned recognition as a Green Master, putting us in the top 20% of participants. We would like to thank our facilities manager Neil Fleischhacker and everyone involved who continually work so hard to help us reach our annual sustainability goals. It’s hard to believe we are now into December, and before we know it, 2017 will be behind us. This year has flown by at a blistering pace, likely because we have been very busy helping our customers grow their businesses through the efforts of a great team of Precision Plus problem solvers. In my last “note” from November 10th when I recapped the previous month’s activity, I also hinted of our internal efforts to realign our org chart, work on our strategic planning, and the recognition of our outstanding team members. I can tell you that much has been done in these areas to better position us for even greater success as we head full steam into 2018. As the big day draws near, many of us are scrambling to cram five days of work into three, while preparing for Thanksgiving Day. I’ve always enjoyed this holiday that focuses on three of my favorite things: family, food and fun times together. At Precision Plus, no other holiday allows for two days off right before a weekend, giving us a whopping four days in a row to relax and unwind! We are grateful for that, especially knowing that other industries and organizations do not always have that luxury. I encourage people to focus on quality time together when they have the chance to make the time.